A Royal baby is not the only new arrival getting them excited in Australia. Yes…pregnant pause…the UK team will be touching down in Sydney very soon now, ready for the opening ceremony of the Invictus Games on Saturday..and our Pete will be with them. Congratulations to the Duke and Duchess of Sussex on their happy news, of course, and well done to celebrity royalty David Beckham and wife Victoria for their support for the Invictus Games, but our thoughts will be with the amazing competitors, and especially Serve On ambassador and former Royal Marine Pete Dunning. Serve On International Response Team member and ambassador and ex Royal Marine Pete Dunning with the rest of the UK Invictus Games team preparing for their special British Airways flight to Australia. Eighteen nations will compete in the 4th Invictus Games which will take place over a week Down Under. 72 wounded, injured and sick veterans and services personnel make up the UK team, and the other countries should be warned, our boys and girls will be ready to deliver….gold. Serve On ambassador Pete Dunning during training with the UK Invictus Games wheelchair basketball team. None of them will be more determined than Serve On International Response Team member Pete, competing in the brutal wheelchair rugby tournament. 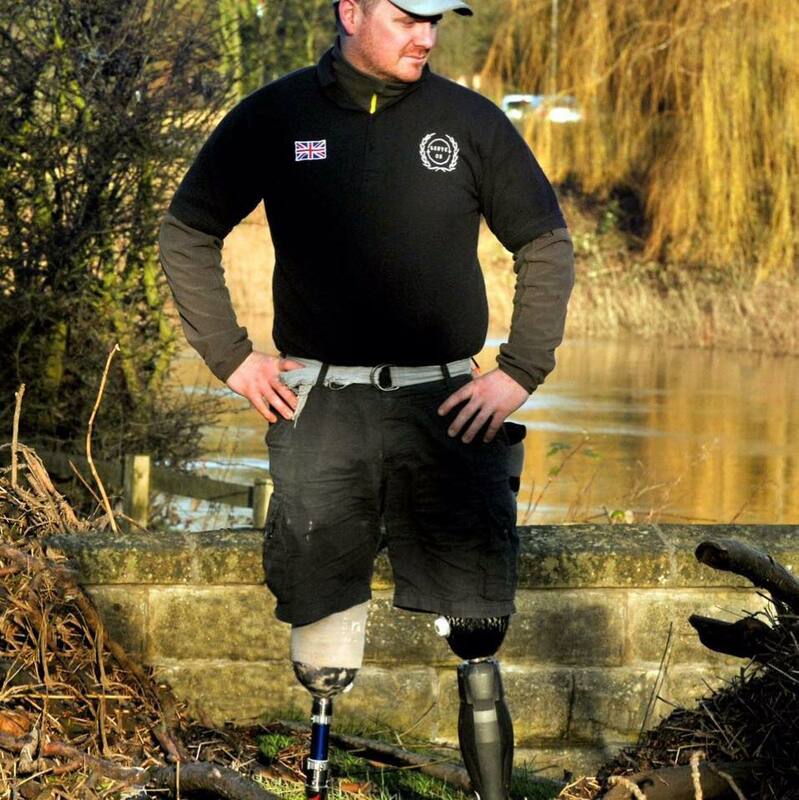 Pete, who was a promising rugby player before he lost both legs to an IED while serving with the Royal Marines in Afghanistan, will take part in the game they call ‘Murderball’. As he prepared to board the special British Airways flight yesterday he said: “Can’t wait to get out there now and then do the job which I’ve been selected to do. Serve On ambassador Pete Dunning is among the 72 members of the UK Invictus Games team heading Down Under. Six nations – UK, USA, New Zealand, Canada, Australia and France – have mixed teams competing in the rugby pool games at The Quayside Centre in Sydney’s Olympic Park next Wednesday. The best four teams will compete in the semi-finals – 1st v 4th and 2nd v 3rd – the following day, before the final later that evening. For those unfamiliar with the format of wheelchair rugby, each squad member is assigned a points-value based on the degree of their physical impairment – 1 point for the players with the most significant physical limitations; 2 points for moderate players; and 3 points for the least physically impaired. Serve On ambassador and UK Invictus Games team member Pete Dunning stretchering a ‘casualty’ from a building during final assessment to become an operational member of Serve On International Response Team. Each team plays with four players and a maximum combined total of 10 points. After everything Pete has faced, and overcome, he’ll be going there with one aim: to get a gold medal around his neck. Of course, he won’t be alone. It’s a team game and he’ll have a great team around him. He’ll be used to that. We’re super proud that he’s a member of the Serve On team. Good luck to the UK Invictus team. And good luck Pete. We’re with you all the way. The Duke and Duchess of Sussex showing their support for the Invictus Games in Sydney. Prince Harry and wife Meghan have added to the excitement by announcing they are expecting their first baby. David Beckham is an ambassador for the Invictus Games and will be Down Under with wife Victoria and their four children. Serve On ambassador Pete Dunning is one of the competitors in the UK team.